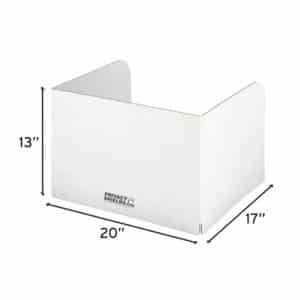 Carrels, or Privacy Shields usage popularity is increasing daily. For years they have been a go-to tool to discourage cheating and improve student focus during everyday classwork or testing. What is the most important reason teachers love to use desktop or computer carrels in their classrooms? To prevent wandering eyes. Why do students cheat? The most common response by pupils in K-12 schools and beyond seems to be that they want a good test grade without doing any work. Cases like the 2012 cheating scandal at a high-achieving high school in New York City confirm that academic dishonesty is more common than you might think. Some reports have revealed that more than half of high school students admitted to cheating on a test. 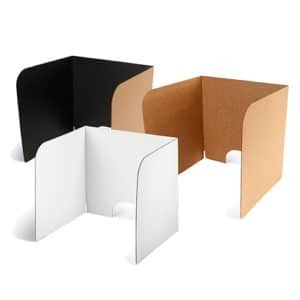 In 2003 we decided to form our company, Classroom Products LLC so we could manufacture and distribute a product that elementary school teachers could use as test dividers. 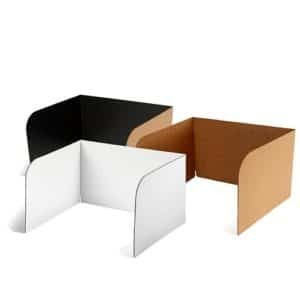 We knew that we could save educators money if we cut out the middleman and sold the desk dividers directly to schools. So that’s what we did. 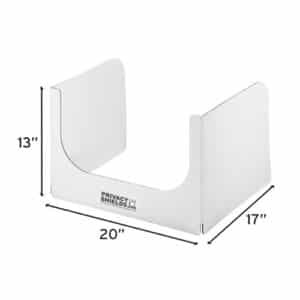 We noticed that a couple of other companies were making a study carrel that was a little thinner than we liked. And, their carrels would not set level on desks or tables. The sides would swing inward or outward on their own. So what did we do? 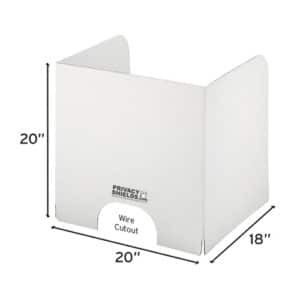 We made our shields thicker, rounded the corners for safety and engineered them so the sides would not swing. Teachers love our Privacy Shields. And what was surprising was that students love them too. Not because they couldn’t cheat, of course. But because the carrel gave them privacy. And privacy can be very important to some students especially when they are asked to do a creative project. Some of their creativity is stifled by the thought that someone in their class might see what they are doing. And maybe poke fun at them. Private study spaces known as carrels have been sought out by college students to the extent that they have to be reserved in advance. 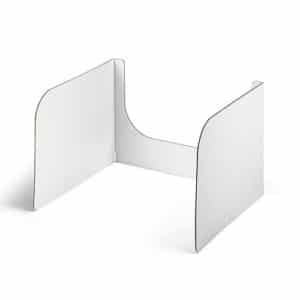 And the dividers for school help block visual distractions. Even more important for ASD and ADHD students. And you’ll probably hear that your classrooms are quieter when the carrels are in place. If the classmates can’t see each other, they probably won’t talk to each other.